550 Gallon Black Polyethylene Tank 52" x 66" | U.S. Plastic Corp.
HomePolyethylene Tanks Vertical Tanks Black Vertical Polyethylene Tanks 550 Gallon Black Polyethylene Tank 52" x 66"
550 Gallon Black Polyethylene Tank 52" x 66"
This 550 gallon polyethylene vertical tank is 52" diameter X 66" height and has a .25" nominal wall thickness. 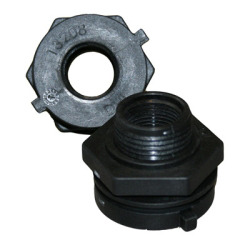 This tank comes standard with a 2" PP bulkhead with Santoprene® gasket and an 8" off center lid. Tank weighs approximately 118 lbs. and will hold up to a 2.0 specific gravity. 10 Gallon Black Vertical Polyethylene Tank 12" x 25"
20 Gallon Black Polyethylene Tank 16" x 28"
25 Gallon Black Polyethylene Tank 18" x 30"
40 Gallon Black Polyethylene Tank 18" x 43"
55 Gallon Black Polyethylene Tank 20" x 47"
65 Gallon Black Polyethylene Tank 23" x 42"
75 Gallon Black Polyethylene Tank 23" x 50"
100 Gallon Black Polyethylene Tank 28" x 45"
105 Gallon Black Polyethylene Tank 23" x 65"
110 Gallon Black Polyethylene Tank 32" x 41"
130 Gallon Black Polyethylene Tank 32" x 46"
135 Gallon Black Vertical Polyethylene Tank 23" x 82"
135 Gallon Black Polyethylene Tank 28" x 59"
160 Gallon Black Polyethylene Tank 28" x 68"
175 Gallon Black Polyethylene Tank 31" x 61"
180 Gallon Black Polyethylene Tank 40" x 45"
210 Gallon Black Polyethylene Tank 40" x 49"
225 Gallon Black Polyethylene Tank 31" x 76"
265 Gallon Black Polyethylene Tank 31" x 88"
295 Gallon Black Polyethylene Tank 42" x 55"
300 Gallon Black Polyethylene Tank 35" x 81"
300 Gallon Black Polyethylene Tank 42" x 55"
405 Gallon Black Polyethylene Tank 52" x 48"
420 Gallon Black Polyethylene Tank 42" x 75"
425 Gallon Black Polyethylene Tank 42" x 75"
500 Gallon Black Polyethylene Tank 46" x 77"
505 Gallon Black Polyethylene Tank 48" x 80"
600 Gallon Black Polyethylene Tank 46" x 91"
625 Gallon Black Polyethylene Tank 64" x 50"
800 Gallon Black Polyethylene Tank 46" x 118"
850 Gallon Black Polyethylene Tank 54" x 94"
900 Gallon Black Polyethylene Tank 46" x 132"
1000 Gallon Black Polyethylene Tank 64" x 81"
1050 Gallon Black Polyethylene Tank 85" x 54"
1200 Gallon Black Polyethylene Tank 64" x 97"
1350 Gallon Black Polyethylene Tank 85" x 65"
1500 Gallon Black Polyethylene Tank 64" x 115"
1500 Gallon Black Polyethylene Tank 85" x 69"
1525 Gallon Black Polyethylene Tank 64" x 122"
1650 Gallon Black Polyethylene Tank 85" x 74"
2000 Gallon Black Polyethylene Tank 64" x 156"
2000 Gallon Black Polyethylene Tank 90" x 84"
2050 Gallon Black Polyethylene Tank 86" x 93"
2150 Gallon Black Polyethylene Tank 102" x 71"
2500 Gallon Black Polyethylene Tank 90" x 100"
3000 Gallon Black Polyethylene Tank 90" x 120"
3100 Gallon Black Polyethylene Tank 102" x 103"
3400 Gallon Black Polyethylene Tank 102" x 107"
4000 Gallon Black Polyethylene Tank 96" x 140"
4200 Gallon Black Polyethylene Tank 96" x 148"
4995 Gallon Black Polyethylene Tank 142" x 90"
5000 Gallon Black Polyethylene Tank 102" x 156"
5150 Gallon Black Polyethylene Tank 102" x 161"
6250 Gallon Black Polyethylene Tank 102" x 194"
6500 Gallon Black Polyethylene Tank 120" x 152"
7000 Gallon Black Polyethylene Tank 142" x 125"
7800 Gallon Black Polyethylene Tank 120" x 176"
8000 Gallon Black Polyethylene Tank 120" x 180"
9000 Gallon Black Polyethylene Tank 142" x 154"
9150 Gallon Black Polyethylene Tank 120" x 203"
9500 Gallon Black Vertical Polyethylene Tank 120" x 213"
10500 Gallon Black Polyethylene Tank 142" x 175"
10500 Gallon Black Vertical Polyethylene Tank 142" x 177" 2800 lb. 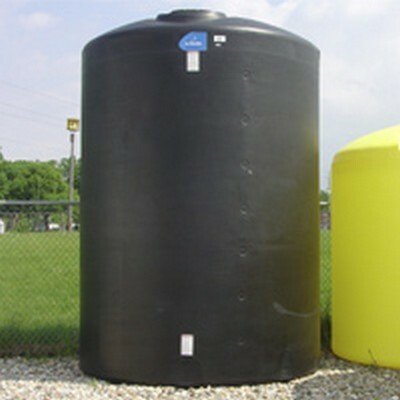 12500 Gallon Black Polyethylene Tank 142" x 208"
15500 Gallon Black Vertical Polyethylene Tank 142" x 247"